The first day of the golden week, I went to Yokosuka. 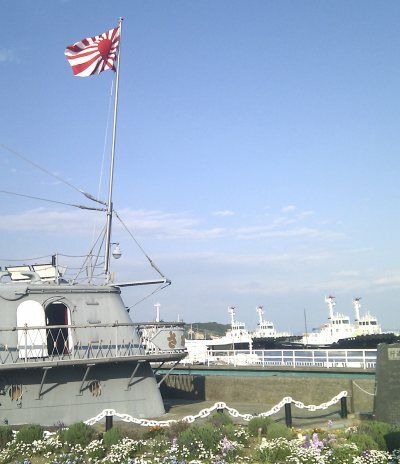 It’s because even though Yokosuka is a sight-seeing place nearby, I had never been there. When you go out the JR Yokosuka station you can see immediately the ocean in front of you. 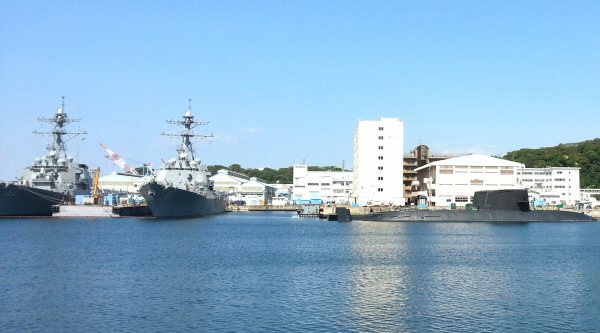 Since the old days Yokosuka is a base for the national defense, it has flourished as a naval port city and it is now a active spot of the US military and Japanese Self Defense Forces. The place I visited first was Mikasa park. 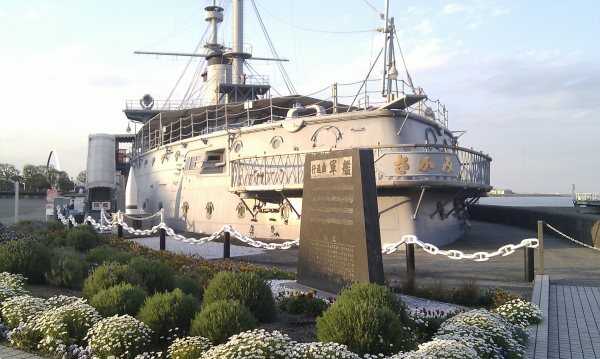 As Yokosuka is a town of the Navy, I could visit the inside of “Mikasa” which is a ship that was actually used during the war a long time ago. A certain flag was floating, a flag that might upset people from some other countries when they see it. A good point was, as I was expecting, the scenery. I could have a direct view of Sarujima. The inside of the ship is like a museum, you can see the appearance of the former battleship. 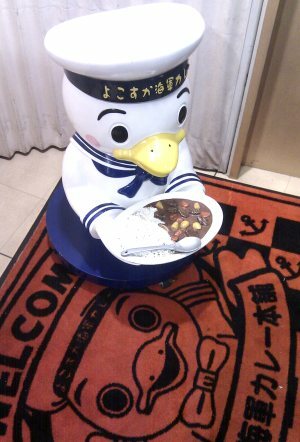 A specialty of Yokosuka is the “Navy curry”. I thought I should eat it once, and I went to a special restaurant. The mascot is cute also. The taste was great. 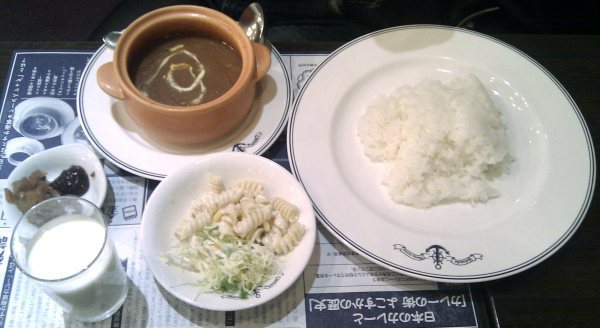 It did not differ so much from the taste of a normal curry, a good point was that it was served with milk. The spiciness of the curry was nicely balanced by the milk. The milk was playing the part of the lassi in Indian curry restaurants. So satisfied. This time, I didn’t have much time to see other places, but there were many interesting shops mixing American and Japanese cultures so I want to explore more when I visit again.